Come one come all to the Amazing Race (not to be confused with the TV show, the Amazing Race). This race is Providence Academy’s version, where students are challenged to take pictures and videos of teammates doing unusual tasks for points. These points earn the winning team a $200 Chipotle gift card. All upper school students are invited to join, but unfortunately the deadline to sign up has already passed, so if you haven’t already signed up, next year will have to be your time to shine. The NET team has organized this competition and they plan to show off the racers’ pictures and videos at the reveal party on March 9th. There will be food and fun for all members of the Amazing Race. Some favorite challenges include: the full court shot (you must get the basketball in the basket from the other end of the basketball court), sending a thank you note to someone in administration, taking a selfie with Father McClellan, doing a flash mob, eating a meal with chopsticks, doing a 90 second plank in the grocery store, and many more. James Schoenfelder ‘20, one of the racers, said the key to winning is to get started early. Another tip, from Ikemonso Ayika ‘20 is to “talk about [the race] as little as possible to make people forget [about the race].” Could this be the key to winning a $200 Chipotle gift card? 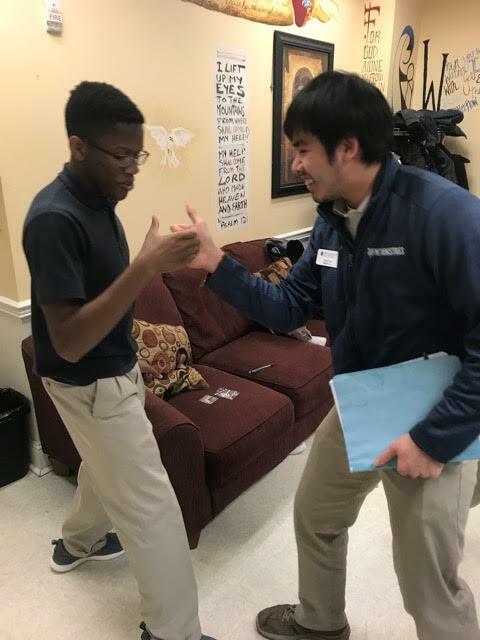 Ikemonso Ayika challenges Tyler Cao to a thumb war in the flash point sale. NET team member Tyler Cao (AKA Game Master Moo) said that organization was important for winning. Teams should divvy up tasks that can be done individually, and find a time to meet with the rest of the team, in which the team does the other tasks together. He also said the personal challenges are a great way to rack up points for your team. Ikemonso Ayika racks up points for his team in a push-up contest. The Amazing Race is currently in the final week, and final pictures and videos need to be sent in by March 5, so the NET team can declare a winner. 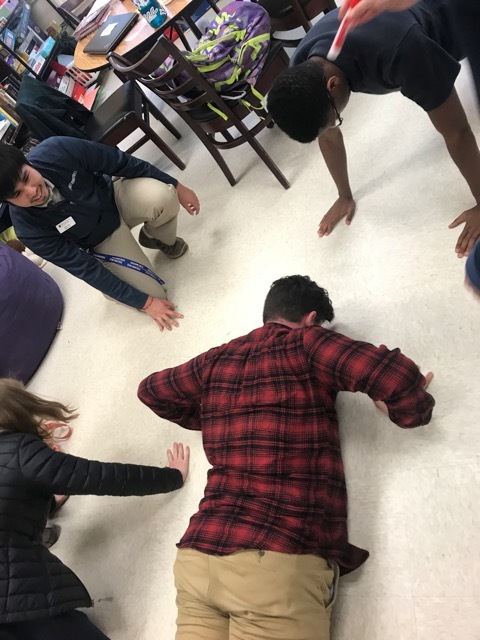 Some students conveyed a wish that the Amazing Race end after spring break so they could have more time and the possibility of completing the elusive 500 point challenges. Tyler said the 500 point challenges were made to be impossible, and racers agree. So far, the Blue Elephant team is ahead with 50 points, but the rankings could change at any time. The Amazing Race brings joy to the hearts of many upper school students, and surely will bring joy to future high schoolers. May the odds be ever in your favor.